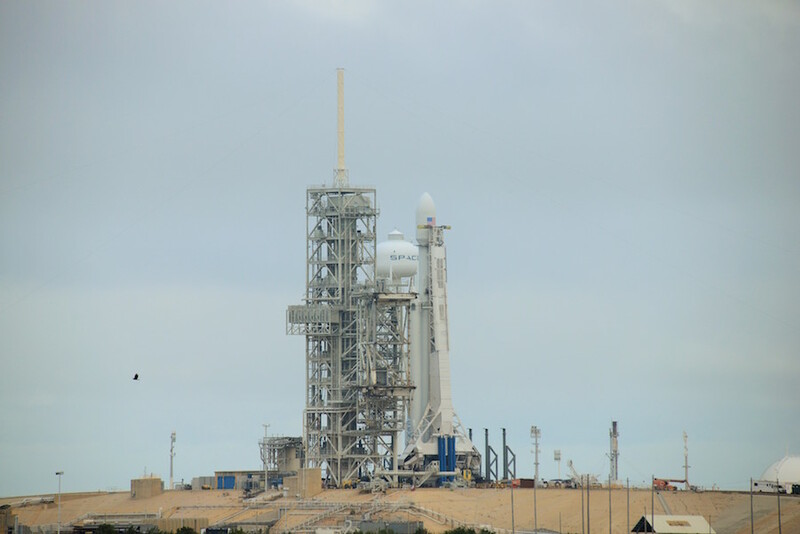 EDITOR’S NOTE: Updated at 10:30 a.m. EST (1530 GMT) Friday after Falcon Heavy was lowered back horizontal at pad 39A. 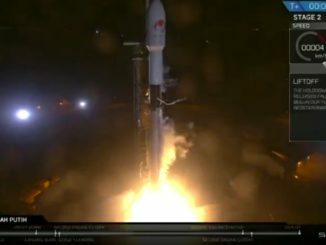 SpaceX engineers conducted a fit check and completed other tests at pad 39A this week, to followed by a hold-down firing of all 27 first stage engines some time after New Year’s Day. 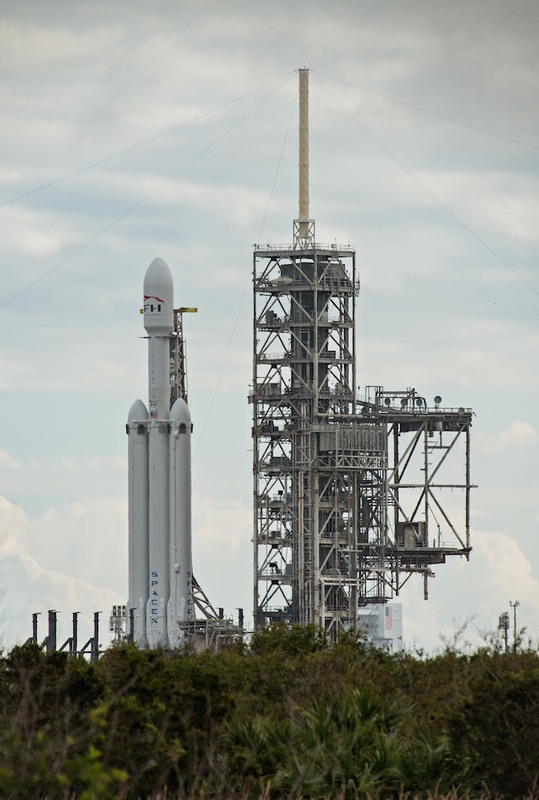 The company has not set a target date for the Falcon Heavy’s first liftoff, but officials say the launch is targeted in January, some time after the hold-down hotfire test. 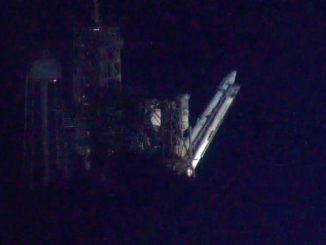 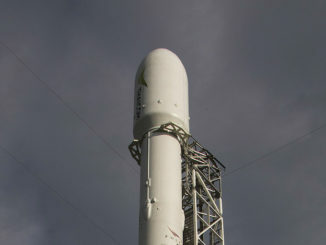 The rocket was lowered back to a horizontal position before dawn Friday.